Home / Assignment #347: Birds In Flight / ‘Bye, ‘bye, blackbird! Across Lake Washington from Seattle, borders on Bellevue. 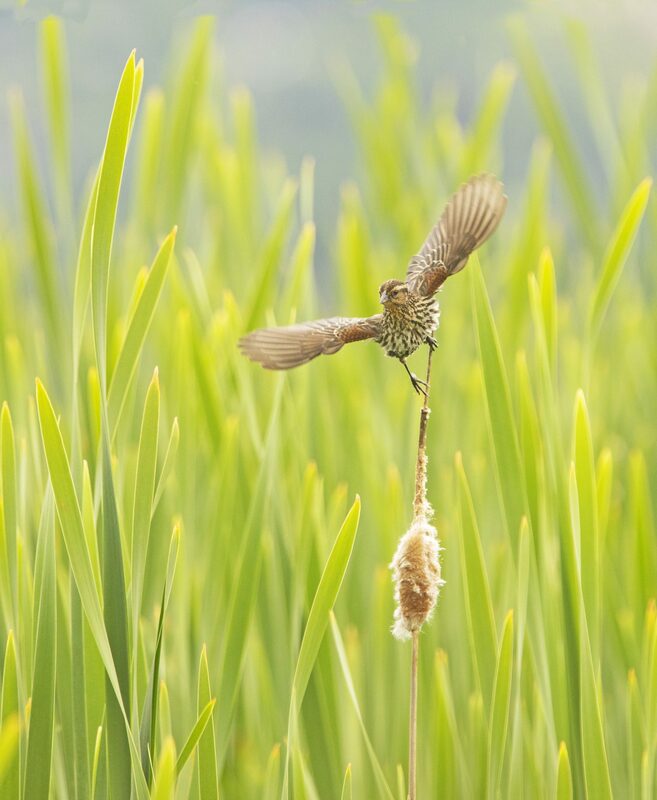 Red-winged blackbird (female, hence the subdued colors) taking off in a field of cattails.